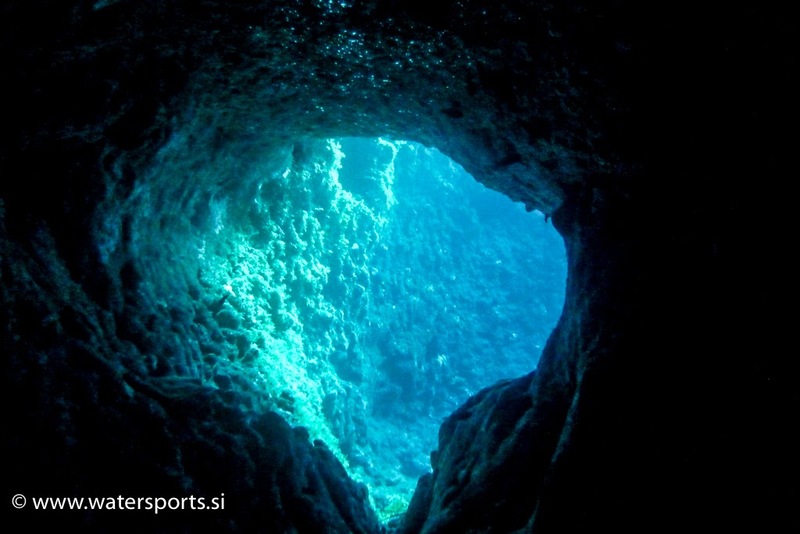 Cirkewwa Arch is a beautiful natural underwater archway. The Arch is actually a cavern which roof has long since collapsed leaving the arch as a result. 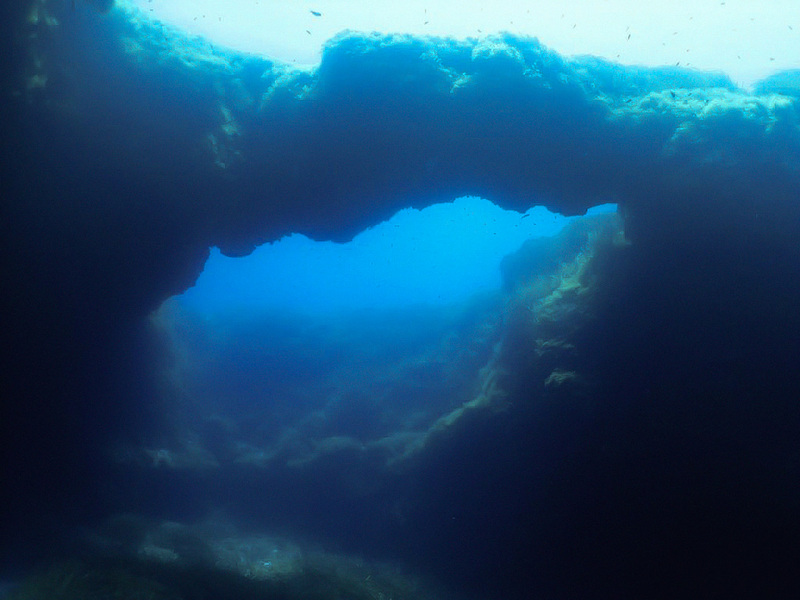 The Arch is at 12 meters below the surface and 8 metres above the seabed. On the way to the Arch there are also some nice caves/tunnels. 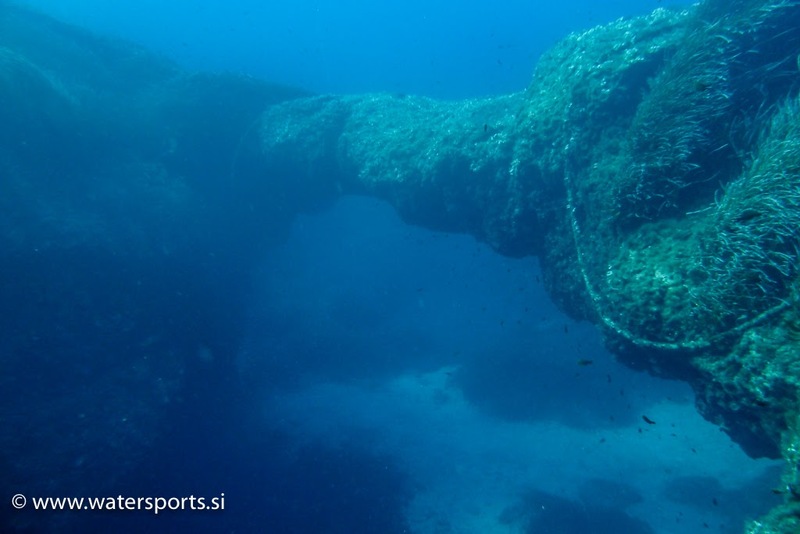 Entry to the sea for the Arch dive is from a large stride entry point (same as for tugboat Rozi wreck). 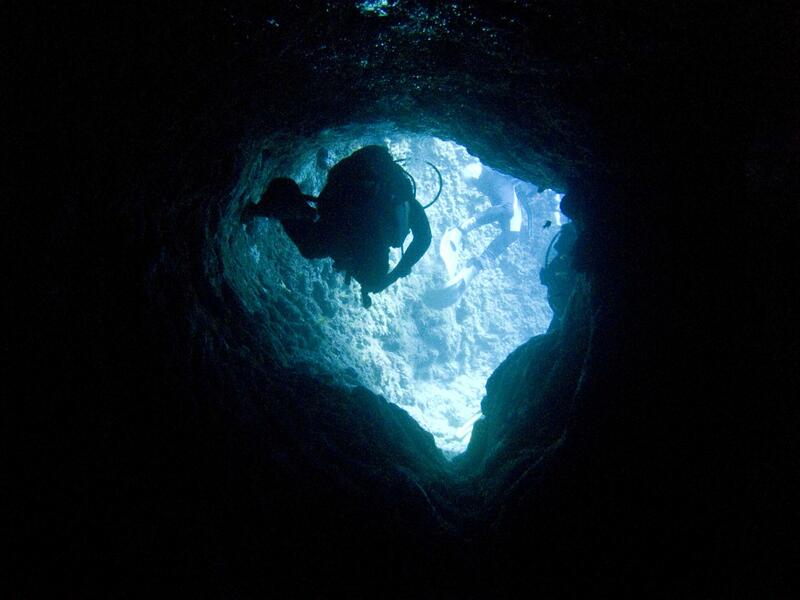 When diving along the wall and the reef it is fairly shallow dive at around 18-20 m. Diving the Arch can also be combined with Tugboat Rozi dive. The reef continues well beyond the Arch around the depth of 15-20 and further on the seabed next to the reef/wall reaches depths over 40 meters. The wall offers many small caves and hangouts. This part of the reef is called Reef Beyond Rozi. Cirkewwa Arch is also known as Right Arch or Green Arch. There is another less known arch in Cirkewwa at Paradise Bay reef called Left Arch or White Arch. ★★★☆☆ Good first Dive today. Lots of sea grass and small hidden critters. ★★★☆☆ Arch itself is a bit disappointing, but the small caves on the way make the dive much more interesting.